College will cost me HOW MUCH? – Grossman & Associates, Ltd. According to the September 21, 2015 article in the Wall Street Journal, there are eight crucial questions parents and their children should ask themselves when college and college expenses are on the horizon. Today, the cost of college is not limited to room and board; students are required to pay hundreds of dollars per semester on textbooks, activities fees, and transportation. Some schools require students to complete an internship, often full-time and unpaid. Parents, whether married or divorced, should take the time to plan and prepare for the increasing financial burden of college. “Too often, parents feel guilty if their finances limit their child’s ability to go to their dream school, which is why they’re willing to ‘beg, borrow and steal; or go into massive debt to help the child get there,” says Beth Kobliner, a personal-finance author. As a parent, do you want to work twelve to fifteen more years to make up for the financial burden of college? Can you count on your spouse or ex-spouse to help contribute? Will your child’s career path keep them from paying off their student loans 15, 20, 25 years down the road? 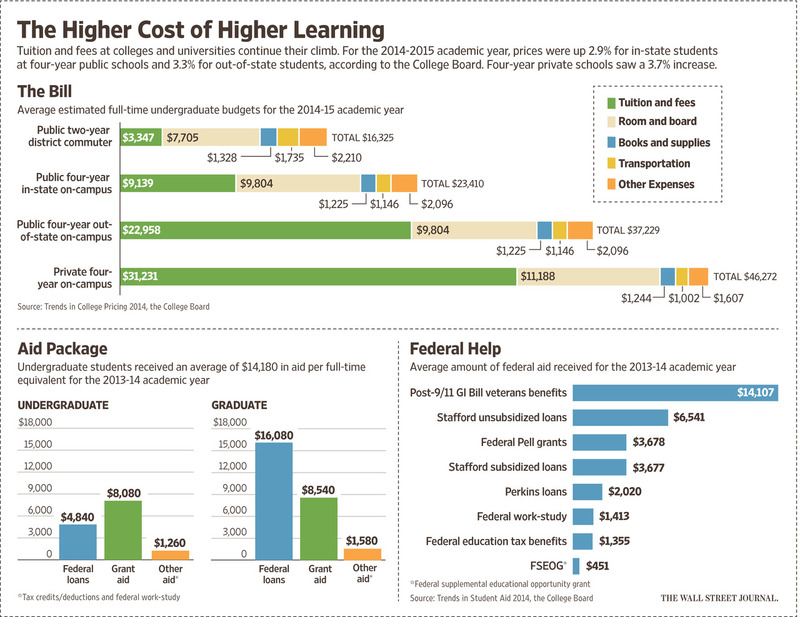 Financial situations vary, but the increasing price of college is constant. Can you afford your child’s dream school? Reconsider the impact that educational costs may have on all of you.